ELECTIONS into vacant offices of the Lagos chapter of the Ohanaeze, the apex Igbo socio-cultural organisation will begin on February 19 and end on March 17. According to a timetable by Deputy President-General of Ohanaeze, DIG Hillary Opara, retd, who is the chairman of the election committee, sales of expression of interest forms for LGA/LCDAs will begin on Monday, February 19 with the election holding on March 3. Also, sales of expression of interest forms for the State Executive Committee will commence on March 5 and the election will be conducted on March 17. DIG Opara said the election guidelines and dates were fixed at a two-day stakeholders meeting held at the weekend in Lagos. At the meeting were royal fathers, affiliated bodies, former aspirants and candidates of the just-annulled election, and women leaders among others. Assuring all contestants of a level playing field, Opara said his committee is in Lagos to restore order and discipline, adding that Igbo could not afford to get it wrong in Lagos given their huge population in the state. Speaking in like manner, the secretary of the election committee, Mr. Eric Ebeh said the importance of having a well-coordinated Ohanaeze Leadership in Lagos cannot be overemphasized. He urged those interested in the elections to visit the sub-committee’s temporary secretariat at Ebute Metta, Lagos for information. 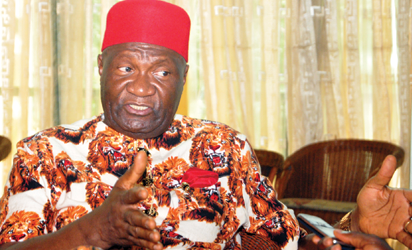 The post Lagos Ohanaeze elections begin February 19 appeared first on Vanguard News.